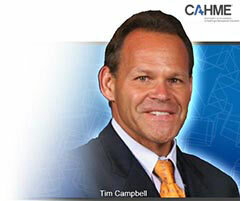 The CAHME/Tim Campbell Scholarship is named for Tim Campbell, a CAHME board member who personified a commitment to service and volunteerism. Tim believed in hard work and selfless service in his professional and personal life, and believed that true success is measured through relationships that help others reach their full potential. Kwamane Liddell is an Administrative Fellow at CommonSpirit Health (formerly Dignity Health). He began his career in healthcare as a janitor after he dropped out of college in 2010. The experience inspired him to pursue nursing, and Kwamane soon became the first African American Male to graduate from the Southern Illinois University School of Nursing at Carbondale. As a trauma nurse, he had first-hand experiences of how inequities within minority communities impact their health outcomes. That exposure fostered his interest in developing as a leader, and he pursued a dual Juris Doctor and Master of Health Administration at Saint Louis University. Kwamane uses mentorship and visibility to improve the communities that he serves and has engaged more than 500 students in the last three years. He develops programs at high schools in underserved communities and invites young professionals that fit the students’ demographics to engage in interactive discussions about careers, personal finance, and life lessons. Kwamane loves to hear stories and ideas that students share, and he hopes to assist them as they continue to explore their talents.